Have you had a personal injury in Bognor Regis that wasn’t your fault? Maybe you have been in a car accident, had an accident at work or on holiday or have been the victim of medical negligence or malpractice? If so, you could be entitled to make a claim for compensation to compensate you for such things as pain and suffering, medical bills and loss of earnings both past and future. Whatever the cause of your personal injury, if it wasn’t your fault then our Bognor Regis personal injury team can help you to recover the compensation that you deserve. As one of the most popular seaside resorts in the UK, Bognor Regis, sitting on the South Coast of England as well as its resident population has thousands of visitors to the town every summer. As well as a diverse range of leisure activities, pubs, clubs and restaurants, the town is host to a range of industries and workplaces as well as a variety of residential developments. 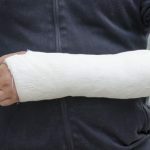 This means that every year in Bognor Regis there are a wide range of personal injury accidents where victims may well be entitled to claim compensation for their injuries. We have a highly experienced team of personal injury solicitors all highly qualified, highly experienced and ready to help you with your personal injury claim in Bognor Regis. Experienced in all areas of the personal injury realm, every one of our solicitors will be able to provide you with clear, transparent and timely advice about your claim that will make even the most complex legal issue clear and straightforward. Thanks to our help, advice and experience, you can rest assured that you are in the safe hands of experts who will get you the right amount of compensation for your personal injury. Whatever the circumstance of your personal injury, whether you have been injured at work in Bognor Regis, in the street, in a shop, or on the road, our solicitors will work with you in a professional and sympathetic manner to get the facts of the case and ensure that we proceed with your claim in a timely and effective manner. We’re so confident that we’ll win your case you won’t owe us anything if we don’t. Our No Win No Fee arrangement is clear and straightforward and you can have complete reassurance in it. Whether you work in a factory, office, shop or another sort of workplace, accidents at work can happen from minor slips and trips to catastrophic injuries or even death. Whether you’ve been injured whilst on holiday or working in another country, we may be able to help you claim compensation. From mesothelioma and asbestosis to vibration white finger and repetitive strain injury, our solicitors are experienced in getting compensation in all types of industrial disease cases. The NHS and private care providers in the UK are excellent but sometimes things go wrong. If it does, we’re here to help you get the compensation you deserve. Slips, trips and falls can occur in a whole host of places. Our compensation experts will help you get the money and justice you are entitled to. Regardless of how your accident happened, if it wasn’t your fault then chances are you will be able to make a claim. All you need to do is give our specialist advisors a call and they can talk through your case and assess whether you have a good chance of winning your claim. Don’t be one of those people that always says they are going to make a claim for their personal injury but never gets round to it and miss out potentially on thousands of pounds and a real sense of justice. When making a personal injury claim, timing is everything because you only have a limited amount of time in which to do it which in most circumstances is within three years of the date of the accident. If you’re from Bognor Regis and have had an injury and it wasn’t your fault them call us as soon as possible and start the process of making your personal injury claim. It’s much easier and much more straightforward than you may think and you’ll almost certainly be glad you made the decision to do it. If you’re wondering how long your claim may take then we can’t give you an exact timeframe as all cases are different. Some cases are more complex than others and if a case is contested by the defence then this can make things longer too. However, to give you a general idea, straightforward cases may take between 3 and 9 months to settle on average with more complex cases taking up to a year or maybe even longer. However, you will find the wait is worth it if you win your case and as well as receiving your compensation, you’ll also be able to move on with your life. Call your Bognor Regis personal injury team now on 0800 073 8804 and take the first step in claiming for your personal injury. You’ll speak to one of our highly trained advisors who will talk through your case to see if you have a strong claim and then they’ll give you the options you have in terms of taking it forward.